In the 1830s, the Texas capital of Washington was alive with the spirit of independence and revolution, filled with shopkeepers, tradesmen and government officials trying to build a new nation on the banks of the Brazos. 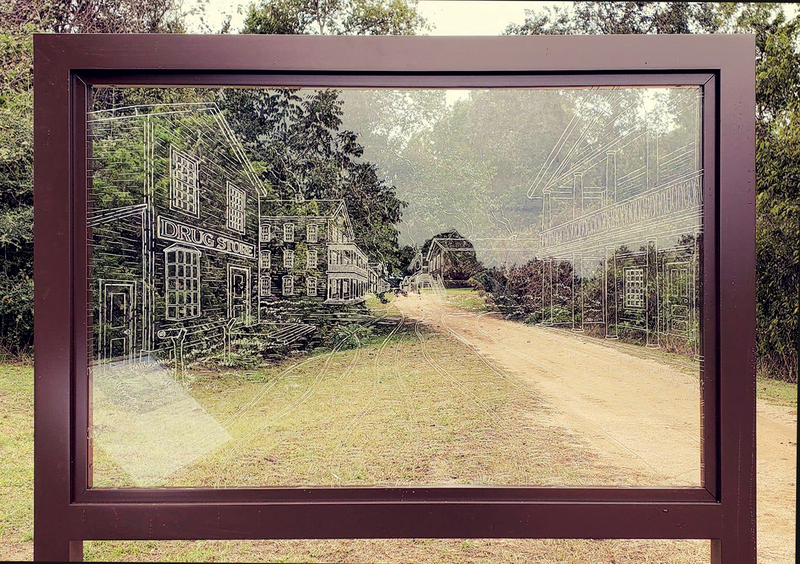 In a new way of telling the story of state parks, Washington-on-the-Brazos State Historic Site unveiled an etched glass panel that lets visitors envision what Washington may have looked like in its heyday. Earlier in the year, TPWD installed an etched panel at Mission Rosario State Historic Site in Goliad to give a visual representation of what the mission may have looked like. Visit texasstateparks.org/history for more information about Texas history.